In the first half of 2012, affected by market factors such as purchase restrictions in the real estate market, appreciation of ***, and international economic factors, the end market of the sanitary ware industry had a marked fall from the same period of last year, the internal market's exports decreased, and the prices of various raw materials and daily necessities increased sharply. The terminal store rents have soared and the wages of employees have increased significantly, causing dealers to feel an increase in pressure. The industry believes that in 2012, the decline in corporate profits has become the biggest shadow of economic growth, causing companies in the downstream industries such as building materials to agonize. With the increase in the price of labor and raw materials, it is inevitable that the increase in product costs will lead to an increase in product prices. Any mature industry will enter the era of meager profits, home manufacturers, distributors can not always be at a high level of profit, the era of profits of the home industry has passed. Once in the low-profit period, companies must make full use of raw materials, reduce inventory, give full play to artificial benefits, and optimize procurement and sales. Each process cost control is an opportunity to gain profit growth. In the era of home building materials tending to low profit, many brands have begun to seek new ways to survive in the market and begin to diversify their production. Affected by the cold current of the property market due to the cold current of the housing market Since 2012, the home building materials market has been affected by the cold current of the property market, and the survival of some small and medium-sized enterprises has been affected by the crisis. According to the survey, due to the large number of products in the building materials industry, the impact of different products varies. Among them, the impact of the cement and glass industry is relatively small, and the relationship between architectural ceramics and commercial housing sales is directly related, and the impact is more obvious. Building materials are one of the industries that have the closest relationship with the real estate market. With the continuous high pressure of real estate regulation, home renovations have also been accompanied by pond fish. It is understood that due to the sales control under the control, real estate developers, sales of payment slowed down, and then dragged down to the decoration industry sales, resulting in increased cash flow pressure. The hard power of anti-dumping products needs to be improved. China is a big exporter, but it is not an export powerhouse. Many of these reasons are because the products exported by China have only advantages of being inexpensive and affordable, and the substitutability and added value of products are not high. The short board in the foreign trade market. Experts and professionals pointed out that in recent years, the sanitary ware industry has faced the largest anti-dumping case, sounded the alarm for the development of foreign trade companies in China, improved product quality, and even the development of emerging markets will become the focus of the transformation of the foreign trade market. .
People in the industry believe that the export commodities of foreign trade companies should be transformed from general processed products to high-tech, high value-added, and high-income exchange-rate products. Through the improvement of technology and product quality, we fundamentally eliminate trade friction caused by issues such as quality. At the same time, diversify and expand the international market. While consolidating and developing traditional markets such as Europe, America and Japan, foreign trade companies can actively expand emerging foreign markets, such as Africa, South America, the Middle East, and ASEAN, to evade trade-disaster-hit areas and expand exports of building materials. 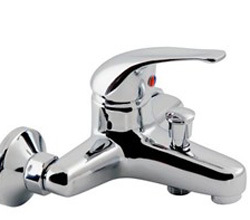 The property market regulates the marketing channels of sanitary ware companies. 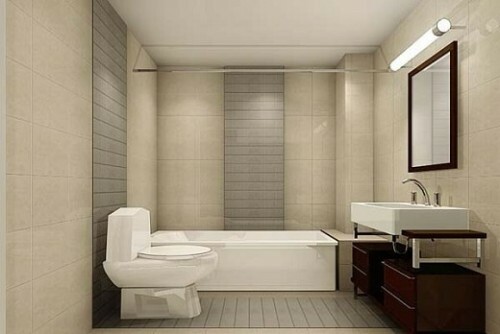 After the sales of sanitary ware companies have experienced frantic growth in recent years, affected by real estate regulation and control, the performance of the entire industry in the first half of the year has been declining significantly, and there has even been no shortage of manufacturers closing business. On the one hand, the decline in sales, on the other hand, is the increase in product costs, including the increase in storefront rents, labor costs, and raw material costs that have eroded the profits of the industry. The industry marketing channel has been transformed to an imminent point. The rise in commercial real estate rents is the most important factor in forcing the transformation of home building materials companies' marketing. Most dealers will think that in the past earned 100 yuan, of which the channel cost is about 20 yuan to 30 yuan, whether it is the prefecture-level cities or counties, towns, channel costs have risen to 30 yuan to 50 yuan. â€œIndustry sources said that because the rise in upstream raw material prices has also driven the prices of downstream products. In the face of the pressure brought by prices of building materials and raw materials, many sanitary ware companies are also actively innovating product marketing models and opening up new marketing channels online shopping malls. Use a variety of ways to explore ways to counter the trend of corporate development." Improve product quality is "king"
In recent years, in order to enhance its core competitiveness, building material companies have gradually changed from pursuing quantity in the past to pursuing quality, from pursuing speed to pursuing efficiency, and actively developing various new building materials that are more energy-efficient and practical and have higher technological content. Our Bathtub Faucets including single handle and double handle control the temperature of water. The mainly material of single handle bathtub faucets and double handle bathtub faucets is 59%brass and zinc handle.They also have three holes,two holes install in wall and another one link to the Shower Head and the piston control the flow of water. For the 5 years warranty at least we use the high quality ceramic cartridge. 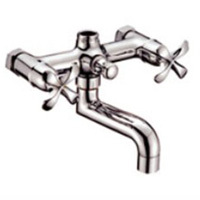 Single handle bathtub faucets can control water hot or cold by put the handle left or right. Double handle bathtub faucets control the temperature of water by two handles,totally separate. Innovative design add color to your life.